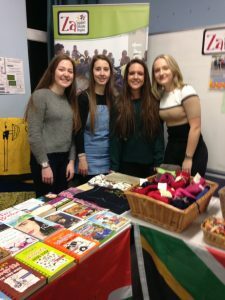 Backwell School’s sixth form Za fundraisers organised stalls at Backwell School Christmas Fair again this year. 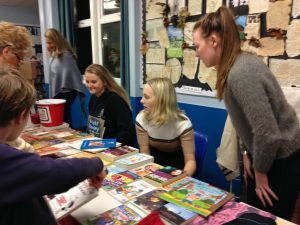 A new departure was having a second-hand book stall which was very popular and raised over £100 over the evening. Many thanks to everyone who supported us and to our team of helpers. 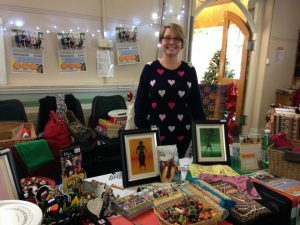 Once again this year, Za and Portishead Methodist Church held a joint Christmas Fayre at the church. 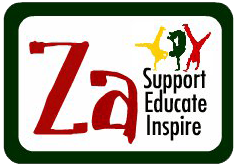 Among the many stalls there, Za sold South African merchandise, gift cards to enable an orphan child to have a Christmas lunch and organised a craft table making Christmas decorations for children. And as always, the cake sale was a huge success!